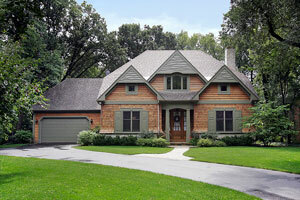 Does your garage door enhance your Middletown, OH, home’s curb appeal? Does it reflect your personal aesthetic and complement your home’s architecture and décor? Can you rely on it to open and close when you need it to? If your answer to any of these questions is “no,” the experts at 31-W Insulation can be trusted to find a solution to your needs and install your home’s ideal garage door. You can rest assured that we’ll recommend a garage door system that will not only meet your family’s needs, but that will also stand the test of time. That’s because we exclusively offer tried-and-true products from Amarr®, Wayne Dalton®, and Windsor Door. These highly regarded manufacturers specially engineer their garage doors to look and operate like new, even after years of use. To begin the exciting process of selecting your Middletown, OH, home’s new garage door, contact us today and schedule a complimentary consultation. Don’t forget to ask about our other home improvement products, including Owens Corning® and CertainTeed attic insulation, Delaney bath accessories, NextStone™ simulated stone siding, ClosetMaid custom closet organizers, and more.